This is a collection of life stories of people who are members of the gay and lesbian community in the Brighton area. 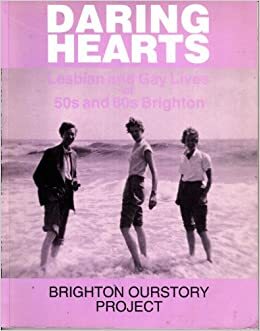 The book is based on taped interviews with forty lesbian and gay men who spoke openly about their lives in and around Brighton. In the fifties and sixties the town enjoyed a national reputation as a haven for gay people and it was viewed as a relatively tolerant place for people to visit and live. Lesbians and gay men came from all over Britain for holidays and to settle down. Brighton was considered a type of ‘Eldorado’, a promised land, and this tradition remains today, where its thriving gay community is one of the largest in the country, outside London. This wonderful work of oral history, first published in 1992, is now available as an e-book from QueenSpark Books.